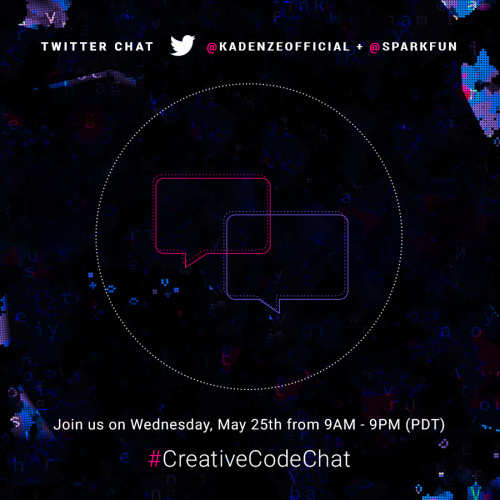 Last week we announced a Twitter chat, co-hosted with Kadenze, in honor of their International Month of Creative Code celebration. The day is upon us, so join in at any time today, from 10 a.m. - 10 p.m. MDT (9 a.m.- 9 p.m. PDT), to add your input on the future of coding in creative fields (hint: it's everything). To participate, follow hosts @KadenzeOfficial and @SparkFun on Twitter. 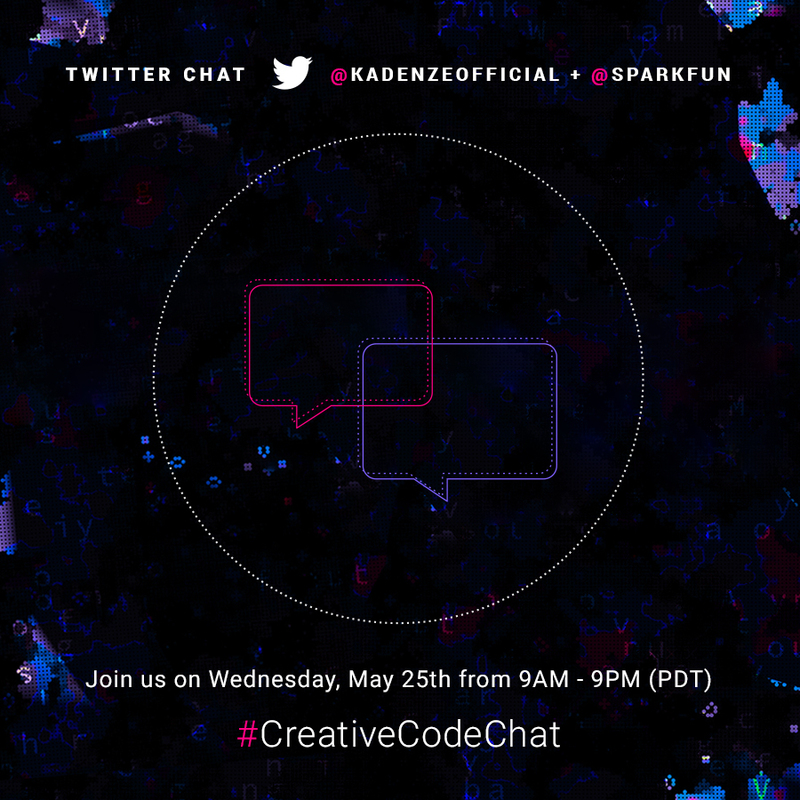 Use the hashtag #CreativeCodeChat to keep track of incoming questions and answers from moderators all over the world, from professors to artists, to CEOs and engineers. You can also chime in from 12 p.m. - 2 p.m. MDT (11 a.m. - 1 p.m. PDT) to chat directly with SparkFun's moderators - Brian, Mike and Shawn - and see how we're getting involved in the world of creative code! Autonomous Vehicle Competition 2015: Rules and Regulations!